The biggest mantra of success in promotion is, be creative. You cannot deny the fact that the market out there is highly competitive and no matter what you do, it is highly difficult for your target audience to notice you. After all, you are offering similar products and services that some other brands are doing too. So, how can you make the difference? Well, the only way to do it is adding some value in your promotion and be creative. For that, perfect bound booklets can be the perfect tool. Perfect bound booklets are one of the most popular in demand these days at online printing company in California. This is a booklet, printed on single sheets that are stacked and squared off into a block. The spine is made with the PUR glue which is flexible and perfect to resist both high and low temperature. One of the best parts of this booklet printing is that the finish is highly professional and elegant. That is the reason why this style is used for novel printing, magazines, brochures and so on. So, when you are thinking of offering your consumers with something value added, then perfect bound can be a great option for you. The perfect bound doesn’t have the restriction like other types of booklet printing. When you are thinking of getting a company report printed, this can be a very cost-effective yet elegant option for you. 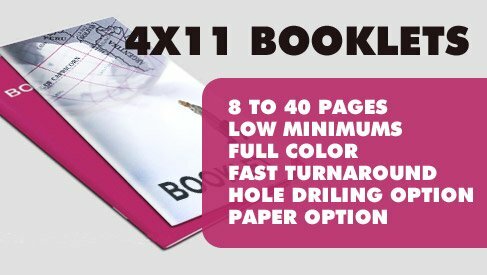 You can opt for A4, A5 or A6 or customize the size of the pages for your perfect bound. This type of booklet comes with enormous possibilities of customization for which you don’t have to worry about. Go for lighter inner pages and a comparatively thicker cover and there are a plethora of paper options available. You can get gloss, silk or premium coated finish. What you will choose will depend on the requirements of your business, the target audience and definitely your budget. So, now as you know about this type, what are you waiting for? 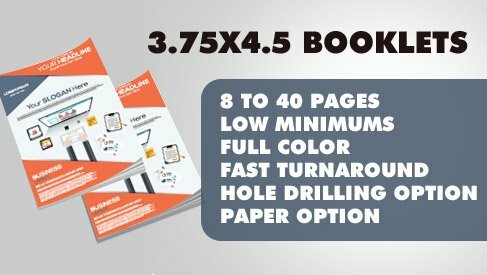 If you are looking for reliable booklet printing services with good reviews and ratings, then come to us at PrintPapa. We are a 4.8 rated company, and accredited by BBB offering 100% client satisfaction since years. Visit www.printpapa.com for more information or call at 408-567-9553 for assistance. This entry was posted in Marketing on December 27, 2018 by Mitali Ghosh. No matter how many times digital media tries to take over the world of promotion, the print media is still there as much impactful as it used to be. And why not? It is as much cost effective as it can get which it ensures a maximum result in terms of visibility as well as appeal. So, when you are looking for the right kind of promotional tool for your business, it is necessary that you think of print media like brochures, booklets, banners, postcards, flyers, business cards and so on. Being into the printing business and offering online printing services for years now, we have understood that when it comes to promotion, visual appeal plays a vital role in it. That is why the demand for flyers for promotion always remains high. 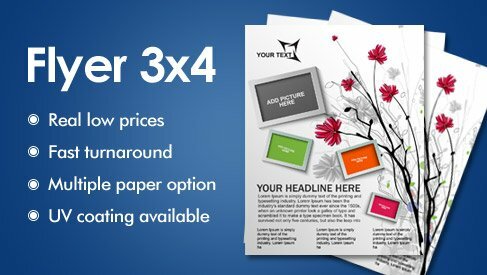 Attractive and easily customizable, flyer printing is one of the most popular tools for promotion everywhere. Now, if you are thinking about how to create the right one, you must take a look at the following points. The first and the foremost thing that you have to decide is the size of the flyer. A flyer can be of any size. Unlike other printed materials like banners, stickers or postcards, a flyer can be of any size or shape, depending on the requirements of the particular brand. So, when you are wondering which size of the banner you should stick to, you need to consider the requirements of your business as well as the target audience. 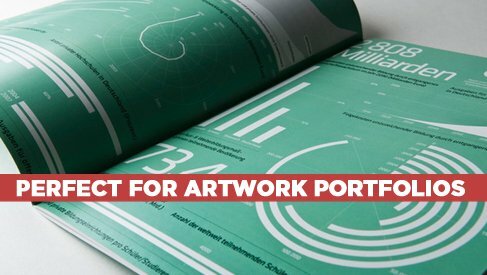 The next thing that you need to take care of is the design rule of the flyer. Use high-quality image for the flyer. Keep the design simple and clutter free. Use big and bold headlines that will immediately grab the attention. And most importantly, use a Call to Action that will drive the audience towards the right direction. The next thing that you need to think about is the budget. Though it is true that the medium is quite cost-effective, yet the pricing can be different depending on your requirements of customization. Consider all aspects and keep your expectations real while placing an order for flyer printing online. So, now as you know about these factors, what are you waiting for? Rush to us at PrintPapa, the trusted name in online printing. Visit www.printpapa.com now to place your order or give us a call at 408-567-9553 for further assistance. This entry was posted in Marketing on December 24, 2018 by Mitali Ghosh. 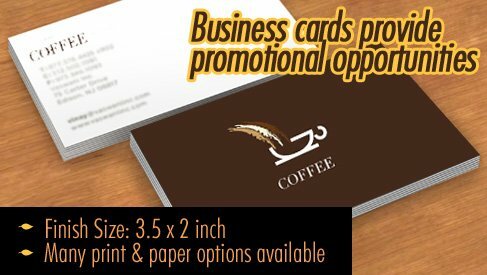 Are you planning to get your business cards printed? Well, if yes, then certainly it is the best decision you have ever made. A neatly designed business card is the perfect promotional tool to add a touch of professionalism and sophistication to your marketing endeavors. So, when you are at any gathering, trying to network more amongst your potential associates, a business card can be your best option. 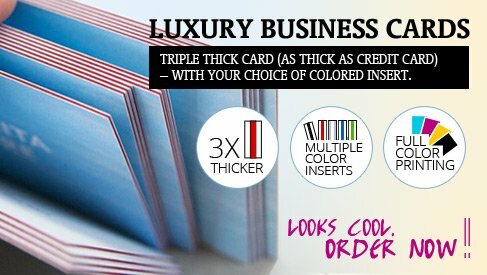 Being a reputed store for online printing services in the Bay Area, we always suggest our clients to go for bulk order when they are thinking of getting business cards printed. You might feel unsure about it, but trust us, placing a bulk order for business cards printing is the right choice for you. Why? Take a look at the following points to know more. This is a cost-effective option if you are wondering how big a pocket pinch it can be. Yes, undoubtedly it is an affordable option for any brand, big or small. Most of the stores offer some amazing deals too on placing bulk orders. If you are headed to an event, it is obvious that you will be looking for ways to connect with more and more people. And an event is the only place that lets you connect on a larger scale as well. So, when you are looking for that, make sure you are always ready with your business cards. When you are going for online business card printing and placing a bulk order, you will obviously add all your brands in the design. But if you keep ordering the cards in installment, the older one might not include all the information of your latest updates of business. So, now as you know why placing a bulk order for business cards is always a good idea, what are you waiting for? Come to us at PrintPapa today. We are an A+ accredited company by BBB and ensure 100% client satisfaction. For more information, dial 408-567-9553 or visit www.printpapa.com. This entry was posted in Marketing on December 18, 2018 by Mitali Ghosh. At PrintPapa, we are having a really hectic time this month. After all the festive season is here again! All the stores and businesses are ready to usher the New Year and along with that new promises for their business prospect too. And for that, they are also willing to push their promotional endeavors to the next level. And that is why there is no time for a breather for any of us at the store. As we are into online printing since years now, we have noticed one trend for this time of the year. The order of all promotional items, especially banners, increases a lot. However, when the clients come to us for designing their banner, they hardly have any idea about the fonts that they need to opt for. So, here we are sharing some inputs that will help you to choose the right font while going for banner printing. Take a look. 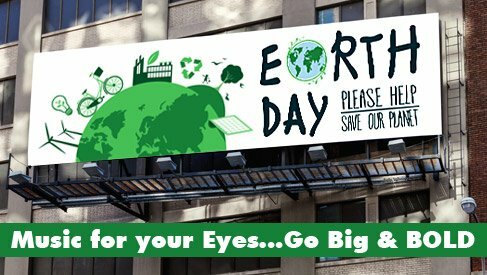 If you are designing an outdoor banner, it is obvious that your consumers will see it while on the go. To make it more noticeable and easy to grab the attention, use larger texts. Make sure the passerby can read the banner and the information you are sharing there even from a distance and in low light. Obviously, you want more footfalls at your store this festive season. Maybe you are offering a huge discount or a new range of amazing products for the month too. But what is the point of banner printing services if you are not choosing a legible font? Instead of too decorative ones, go for bolder and legible fonts that can convey the message without any glitch. While choosing the font, consider the amount of information you are about to share too. The bottom line is that you can never make the banner look cluttered and clumsy that can divert the attention of your target audience. So, now as you know about these points, what are you waiting for? If you are in search for a store for banner printing online, then come to us at PrintPapa. 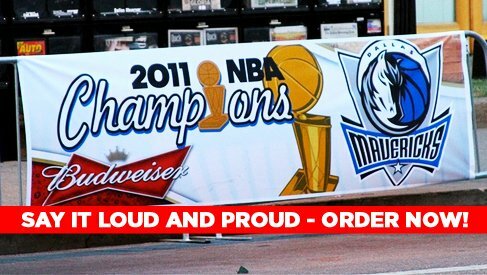 We ensure quick turnaround time and 3 years warranty on outdoor banners. Visit www.printpapa.com today for attractive offers or call at 408-567-9553 now. This entry was posted in Marketing on December 12, 2018 by Mitali Ghosh. 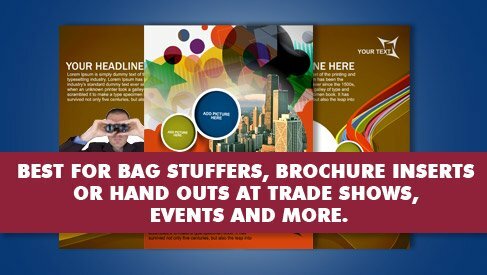 Booklets are a very effective promotional tool for attracting potential customers. It can be a fantastic value-added marketing tool that will help you with a promotion like never before. So, if you are thinking that you need to go for promotion with something more than just a piece of paper with limited information, go for booklets. 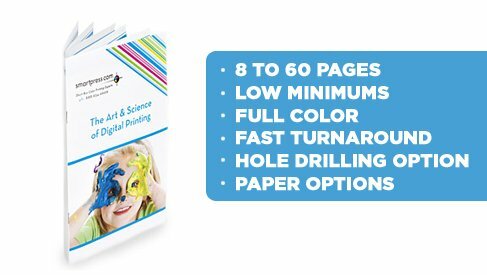 At PrintPapa, which is an online printing company in California, I always advise the upcoming brands for a breakthrough in their promotion to go for booklets. Booklet printing is cost effective, very useful and informative way of promotion that can make your customers keep glued to you. Are you wondering how you can get the design right in the first place? Read the following points to know more. High-resolution images are necessary for getting a stunning booklet printed by a booklet printing services company. 300 dpi is necessary to making the booklet look flawless and appealing enough to attract your customers. You need to have the correct dimensions for your booklets. Check this before you place your order with an online printing store. Use the monitor to printer conversion for this calculation. You don’t want your design to look crooked. With automated cutters, you will get few millimeters of deviation. Hence there is no need of getting the design look crooked with borders. There are numerous online websites from where you can get templates for the printing. It is necessary for you to get them as these templates will make sure that there is no unwanted trimming in the design of the layout you are choosing for your booklets. So, now as you know about the tips, it will be surely easier to get the designing right for your booklets. Come to us at PrintPapa and we will offer you more specialized assistance. Visit www.printpapa.com now for placing your order. This entry was posted in Marketing on November 27, 2018 by Mitali Ghosh. Are you planning to invest in print media to add an edge to your promotional endeavors? If yes, then it is definitely a good decision on your part. So, when you are planning to do it, it is necessary that you choose the right channel that will help you to promote what your brands offer. So, what type of printed item will be the most effective promotional tool for you? Well, if you are planning to attract a local audience with something quirky, then invest in flyer printing. 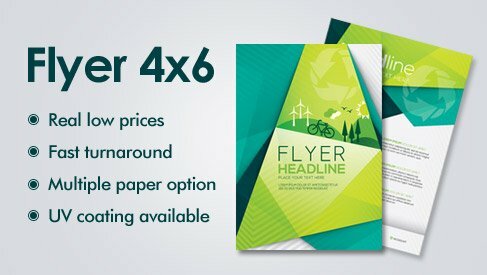 Flyer printing is certainly one of the most effective yet affordable marketing tools that can benefit you on so many levels. In my company, PrintPapa, the online printing shop, we notice every month a substantial number of orders for flyers that we get from many local businesses in the Bay Area. The only trick to make it work is to make it unique. How? Take a look at the following points to know more. Make it attractive. There is no alternative to this in the case of flyer printing online. The job of a flyer is to grab attention immediately even from a distance. For that, you have to take care of the design, color, font and finish so that it effectively appeals to the target audience. There are hundreds of similar brands who are offering the same products and services just like you. So, what more one can expect from you? It is better to let the potential customers know how you can solve a problem for them. This will immediately appeal to them as they will know how relevant your service can be. Don’t clutter the flyer with unnecessary texts and details. Just get to the point immediately. People don’t have much time while on the go to notice your flyer and every detail you put there. So, make it a quick read. So, now as you know about the tips to make your flyers stand out and already are looking for a company to get them printed, come to us at PrintPapa. With full-color printing, various options of customization and quick turnaround time, we ensure complete customer satisfaction. Visit http://www.printpapa.com/ to know more. This entry was posted in Marketing on November 23, 2018 by Mitali Ghosh. 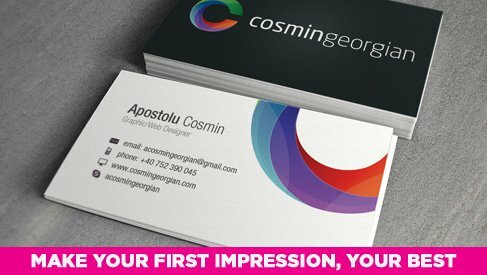 When you are going to make a memorable first impression, you will definitely think of getting business cards printed. When it comes to the business card, the design and every minute detail of it matters a lot. So, when you are choosing a professional printing company for this, you need to know something about the designing principles too. 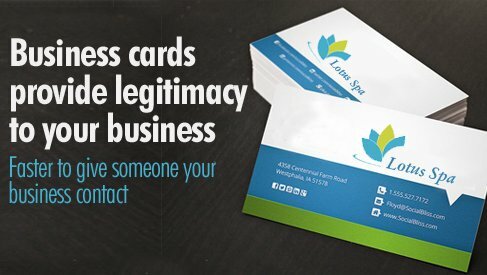 After leading a business like PrintPapa, which offers online printing services for years, I have come up with some tips that can help anyone to understand the principles of business card design. So, if you are going for business card printing, you are in the right place. Take a look at the following points to know more. The first step is to choose the right information that you want to get printed on the business card. Apart from the obvious ones, sort out which other information is important to be shared by the card. You might feel overwhelmed while choosing. But take your time to make the right decision. When you are placing the order of online business card printing, make sure you are not cluttering the card with too many details. Basic information is okay. But with design details or elaborate font, you can make this small rectangular piece of paper really cluttered. And such a card will completely miss the point as the attention of the consumer will get diverted with too many details. Make it clear and precise. The purpose of a business card is to compel the other person get in touch with you. For that every single thing matters. From the paper to the font, from the style to the presentation, you need to take care of all to make it work. So, be compelling in your presentation. If you are looking for a professional company to get your card printed then come to us at PrintPapa. With quick turnaround time, several options of papers and guaranteed 100% satisfaction, we offer you the best service in the Bay Area. Call us now at 408-567-9553 or visit http://www.printpapa.com to place your order. This entry was posted in Marketing on November 19, 2018 by Mitali Ghosh. Are you going to organize an event anytime soon and planning to invite all the local people on the big day? Well, it sounds like a great plan. But when it comes to planning a local event, don’t you think personally inviting each and every person for it will be quite difficult as well as tough to organize? But how you can let people know that you are organizing a happening event soon? Simple. 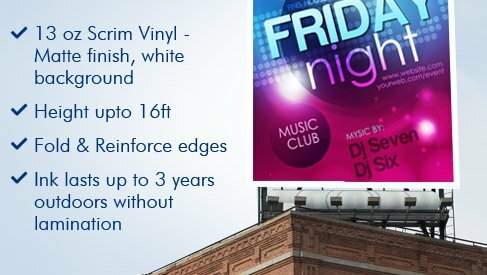 Get some attractive vinyl banner printed for the event and catch the attention of the people you want to drop by. Are you wondering if the vinyl banner printing will help you or not? Well, being in the industry and running a shop like PrintPapa, I have realized that banners can be a really helpful tool for promotion. So, if you want it for your local event advertising, PrintPapa will have your back. Take a look at the following tips to get it right in the first place. While ordering banner printing online, you might feel overwhelmed enough to include a lot of information in the banner. But you must refrain or it will make the whole thing look cluttered for you. Instead of going overboard with the information, stick to date, time, venue, RSVP, a website where they will get the details and entry fee if any. The next thing that you need to pay attention is the highlight of the event. Any special guest is coming? Or a local celebrity will be performing? In any case, highlight it cleverly in the banner. Use different font, color and make it stand out. While you are getting banners printed you need to consider the fact that for how long it will be exposed outside, even in extreme weather conditions like rain, scorching sun or snow. In such cases, vinyl banners work like wonder. They offer maximum durability and last for a long time. Also, before hanging it, consider the places where it will get more noticed. So, now as you know about how vinyl banners can perfectly promote your local event, then don’t waste time. Start looking for banner printing services or come to PrintPapa without hesitation. We are a BBB accredited company, offering the most affordable reputed online printing service. Call at 408-567-955 or visit our website at http://printpapa.com for more details. This entry was posted in Marketing on November 14, 2018 by Mitali Ghosh. Are you planning to take the marketing of your brand to the next level? If yes, then it is surely a good step as it will help you achieve what you have desired since all these while. If you are in the market already, then you know how difficult it can be to create an impact when there are similar brands competing with you already. That is why it is necessary that you think of some technique that will hold enormous promises for marketing. So, for you, from my experience in online printing California, I am going to give you an idea. Hopefully, this will work for you and bring you the desired success too. Now, what is that? Well, go for booklet printing to market your brand. Why? This is undoubtedly one of the cost-effective yet highly successful ways to tell people about your brand. Take a look at the following points to get some ideas for how it can work. Add some value to your marketing endeavor. While running my own company PrintPapa, I have realized customers love it when you are adding some value to your marketing. That is why you must think of doing it in a way so that the booklet gets some value. Think of providing some relevant information or direction that they can use. High-quality content can be extremely helpful in this whole plan. If you are providing any textual information, hire a professional writer and come up with high-quality content that can impress the customers for you. Instruct the booklet printing service you are hiring to provide you with the best quality images in the booklet so that it becomes visually appealing. And as well as know, visual appeal can take the marketing a long way. So, now as you know about the ways the booklet printing and marketing can work, what are you waiting for? Come to us at PrintPapa now and to place the order visit www.printpapa.com or call at 408-567-9553. This entry was posted in Marketing on October 29, 2018 by Mitali Ghosh. The marketing world is a tricky place where finding out whether your endeavor is working or not is quite difficult but necessary too. After all, you are not only putting your money and effort in it but also you are brainstorming too for some unique ideas. When it comes to digital marketing, there are thousands of way to track the ROI and effectiveness of the marketing. But when it comes to print media, it is quite difficult and mostly dependent on assumptions. Now, if you are thinking about how you would know whether your assumptions are correct or not, then you are absolutely in the right place. 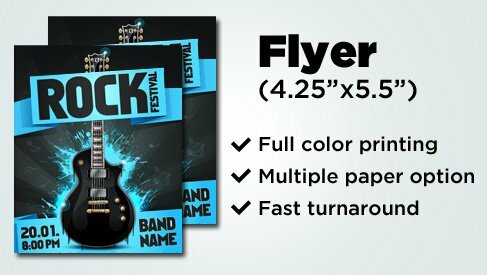 Being in the industry of online printing for so many years, I have come up with some ideas that can help you in tracking your success of flyer printing. Yes, there are some sure shot ways that can offer you accurate knowledge of the fact whether your flyer printing endeavor is working in your favor or not. Read on to know more. Are you already giving out flyers? If yes, then surely you are using your phone number as contact information in those flyers. So, track the success of your flyer printing online by tracking the number of phone calls. The more audience the flyer will reach, the more you will get leads over the phone. Put tear away tags on the flyers. Ask the online printing services you are hiring to attach the tear away tags on the flyers so that you can get the exact number of people who were interested and tore the tags with your contact information in them. This is the most confirmed way to know whether the whole marketing endeavor was successful or not. Just take a note of the number of sales you got after the flyer campaign and compare this with the previous figures. You will know the difference. So, now as you know about how to track the ROI, don’t waste your time. Rush to a reliable store or come to us. Yes, we, PrintPapa are one of the most reputed online printing companys in the Bay Area and also provide service all over the world. Call us at 408-567-9553 or visit www.printpapa.com now. This entry was posted in Marketing on October 24, 2018 by Mitali Ghosh.